Here’s a MotoGP riddle. What am I? No one looks forward to going, but everyone’s happy when they’re there. 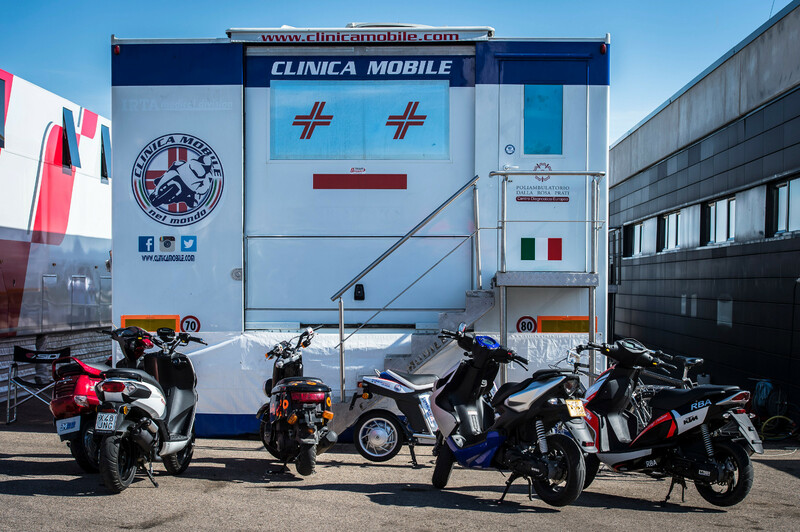 That’s right, the Clinica Mobile: The hospital on wheels that’s been an institution in the MotoGP paddock for almost 40 years. A place where bruised and battered riders are looked after with the best possible care. From a race-jeopardizing broken ankle in free practice to a stiff neck from the hotel air con, the MotoGP riders know exactly where they need to go for any of their aches and pains. Time to seek out the Clinica Mobile, a blue and white semitrailer covered in sponsor labels and barely distinguishable from a traditional race truck. The bike at the door gives away who’s currently receiving treatment. Interwetten logo, competitor number 77: Dominique Aegerter must surely be inside. A white one now, number 23: Moto3 rider Niccolò Antonelli. And number 88 has to belong to Ricky Cardús. “Sometimes there are so many bikes parked at the door that you can barely get in,” says Dr. Michele Zasa, Medical Director of Clinica Mobile. Zasa leads us inside her travelling clinic. Up the steps, the door opens and on the left there’s a small corner seating area – essentially the waiting room. Just in front of it sits a desk with a computer: Dr. Zasa’s workstation. Behind that there are two rows of three massage tables joined together and further behind a treatment room with x-ray machine. All that in just 65 square meters! Three doctors, a radiologist and six physical therapists tend to patients still seething at the circumstances that brought them there. Up to eight patients can be treated at the same time, but at peak periods that’s often not enough. Another two, three or even four riders can be huddled in the seating area at the entrance until it’s their turn. At these times the Clinica Mobile transforms into a meeting place, a chance for a chat with colleagues. It’s now Thursday lunchtime and things haven’t got underway yet at Motorland Aragón, which is why it’s relatively quiet in Dr. Zasa’s small kingdom. Dominique Aegerter is having a back massage, Niccolò Antonelli has bruised a muscle during training on a mini motobike at home in Italy and is receiving laser therapy, while Ricky Cardús is sitting right at the back of the room with an oxygen mask on his face: Inhalation due to a cold. 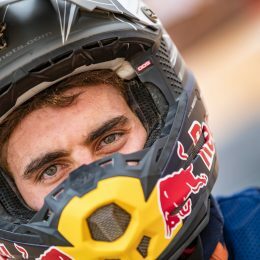 Sandro Cortese, a former KTM Moto3 champion, also has a story to tell: A hand injury at Barcelona 2012. Injections and physical therapy patched him up in time for the race. 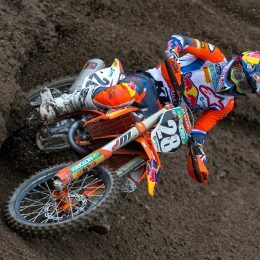 Cortese then went on to secure second place, racking up 20 World Championship points and, a few months later, winning the World Championship title. The story of Clinica Mobile is inextricably linked to one name: Dr. Claudio Costa. 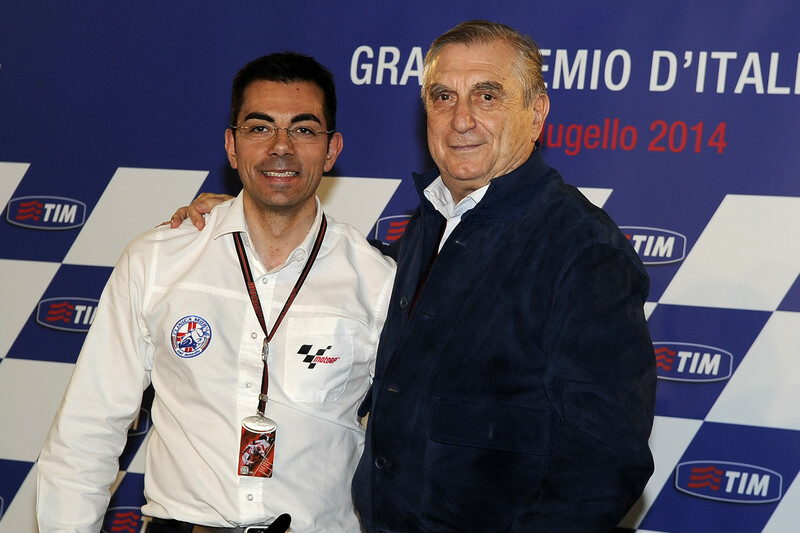 Costa’s father once organized motorcycle races at Imola. It was at a race in 1972 that he asked his son to take over the medical treatment. Costa junior rounded up a group of doctor friends and they did such a good job that the riders urged Costa and his coworkers to be there at every future race. An understandable request, since conditions back then in the 60s and early 70s were truly terrifying. 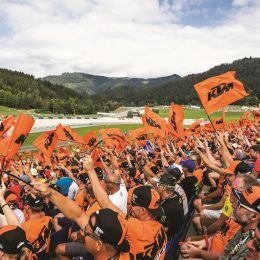 Injured riders were usually – and hurriedly – lifted onto a stretcher like a sack of potatoes before being taken to the paddock, where a solitary doctor was waiting with a small suitcase. If the ambulance was already in use, it was not unheard of for a spectator to take pity on the stricken rider and take him to hospital. Nevertheless, Dr. Costa had to battle against resistance in the early years. As grateful as the riders were for Costa’s service, some of the organizers proved troublesome for him. “We can handle medical care ourselves” was something Costa became accustomed to hearing. Once, Costa’s colleagues wanted to rush to the aid of a fallen rider, but were held back by police officers with dogs. It turned into a brawl at the edge of the track; docs versus cops. One of the dogs even bit a doctor on the leg. All the while no one was looking after the original casualty. Before 1977 Costa had to make do with a car until he was finally able to commission an ambulance thanks to financial help from helmet manufacturer AGV. This was the first generation of Clinica Mobile. Over the years the Clinica Mobile vehicles became larger and more spacious. 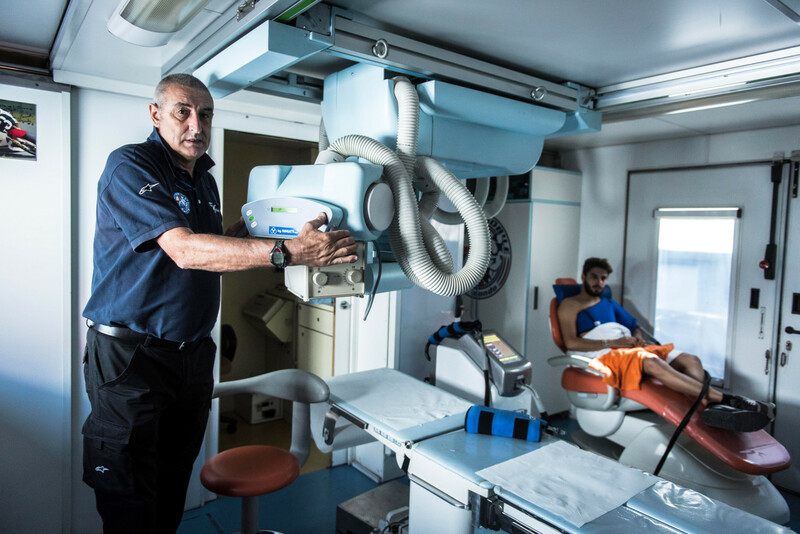 Clinica Mobile number 5 has been in operation since 2002 and Dr. Zasa, who took over the reins from Dr. Costa in 2014, is planning for the next vehicle, number 6, to be two stories high with an area of 140 m2. It should be ready in 2017, hopes Zasa. The role of the Clinica Mobile has transformed over the years. Once the only source of decent medical care, the 1980s saw the introduction of medical centers – usually with excellent equipment – at all Grand Prix racetracks. Today an injured rider is first taken to the medical center, from where they will be transferred to hospital if the injury is severe. But if it’s just a matter of a fractured collarbone or a dislocated shoulder, the Clinica Mobile takes over. 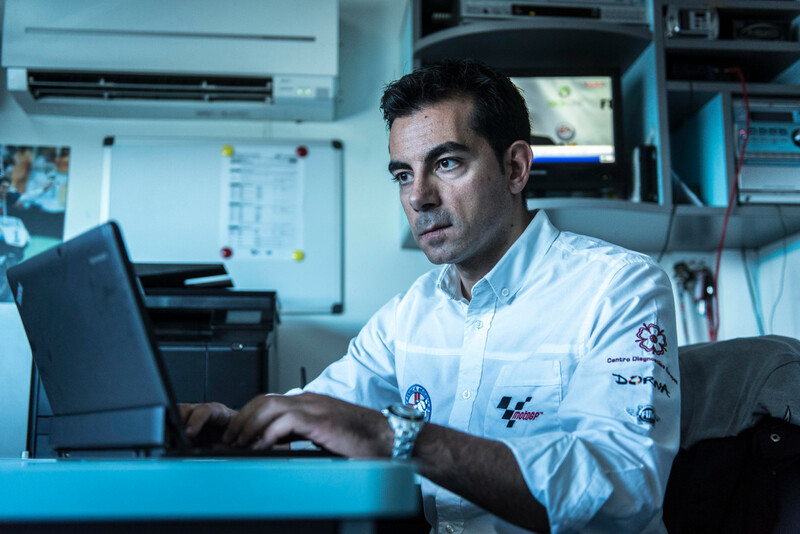 A doctor from the Clinica Mobile always accompanies the rider, even to the hospital. This means that the rider has a familiar face at their side and is not at the mercy of foreign doctors, who possibly wouldn’t even be able to explain the diagnosis to them. Just imagine a Japanese doctor, who speaks terrible English, trying to explain to a Spaniard, who speaks zero English, that his third lumbar vertebra is broken, but the vertebral canal is not damaged and there’s no risk of paralysis. Luckily a visit to the Clinica Mobile doesn’t involve a lot of red tape. There’s no need to show an insurance card or fill out complicated cost absorption declarations. Simply turn up, get treatment, and you’re done. Even a journalist with lumbago or a mechanic who’s burnt himself on a hot exhaust is welcome. It’s a service for the entire paddock. Eleven doctors, 25 physiotherapists, four radiologists, six truck drivers, and three members of admin staff back home in Parma – almost all part-time staff – have to be financed. Some of them work at the Superbike World Championship, where the Clinica Mobile is also represented. One final question, Dr. Zasa: Which of your patients require the most intensive care? “Marcel Schrötter, Cal Crutchlow, Nicky Hayden,” answers the doctor. “They come to us pretty much daily.” And what about the most well-known rider? “Rossi?”, asks Zasa. “Yes, Vale is always our last patient, sometimes even after 8 p.m.” As Rossi can’t even enter the paddock without being surrounded by fans, he doesn’t have to come to the clinic. It’s much more common for Rossi’s favorite physiotherapist Leonardo to make a house call and give him a massage in his trailer. When it comes to “The Doctor” of the racetrack, the doctor of the Clinica has another special service to offer.